One of our most popular attractions at Sloan’s Village are the individual fire pits! Under a canopy of evergreen trees you can gather round your own fire to warm up, relax or even roast some marshmallows and wieners. There are over 300 throughout the Village. 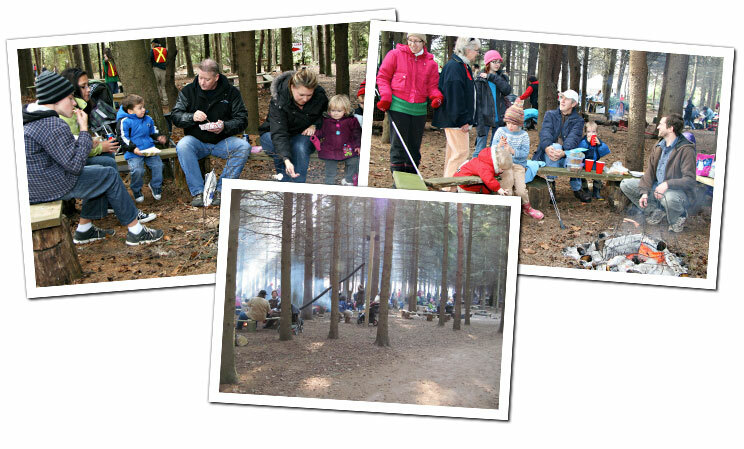 We do not take reservations for family campfire sites, availability is on a first come basis. We cannot provide sticks for roasting due to food safety concerns, so we recommend that you bring your own. But if you forget, some are available to purchase in our Cookie Cabin. All fire pits have a wire cage over the flames. Please do not remove these for cooking. Management reserves the right to limit the size of fires and the amount of wood used on each in order to ensure bylaw compliance and safety.